I've been finding time to draw, so I thought I'd share my latest line drawing with y'all! 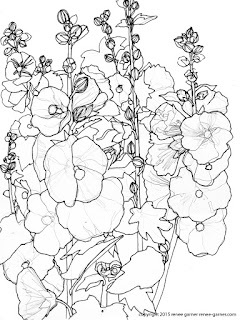 With lots of little details, this drawing is just might be better suited for you than little ones. 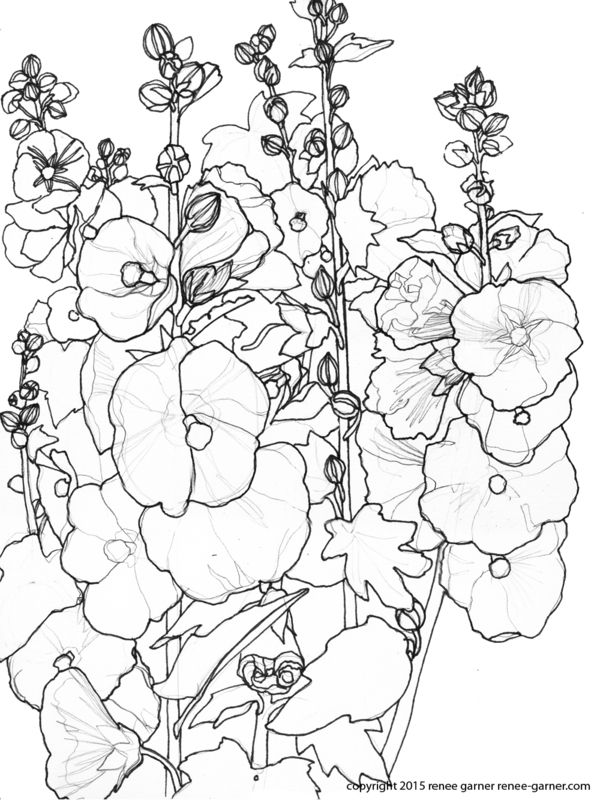 Hollyhocks for a little mindless coloring. Slow day at work? Click on the image and print. An even better idea might be to add a tall glass of wine and you've got yourself a mighty fine plan for the evening.